Alibaba debuted its Pay Later service for online sellers procuring inventory on its marketplace during the CES show last week. The service is powered by Kabbage, which kicked off the trend of offering loans and financing to online sellers nearly 10 years ago, a market underserved by traditional banks. When Kabbage first launched in 2010, it targeted eBay sellers, attending an eBay On Location event for sellers in Atlanta that year. It used eBay Stores transaction data and PayPal payment-processing data to assess risk rather than relying on a credit bureau score. Since Kabbage’s success in offering working capital loans, others have jumped in, including PayPal, which launched Working Capital as well as PayPal Business Loans. And last summer, eBay partnered with Square Capital to provide eBay sellers with business financing, a surprising move even given its split with PayPal in 2015. You can watch a video of Kabbage executive John Hussar discussing the service offered to sellers through Alibaba from the CES show floor. 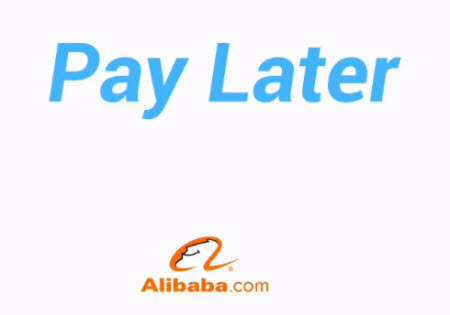 And more information and an explanatory video about Pay Later is available on the Alibaba website.